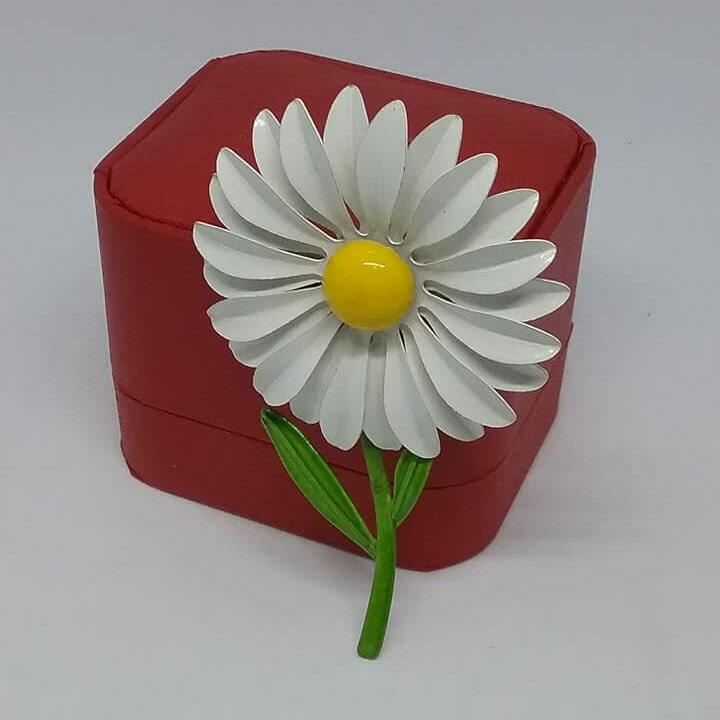 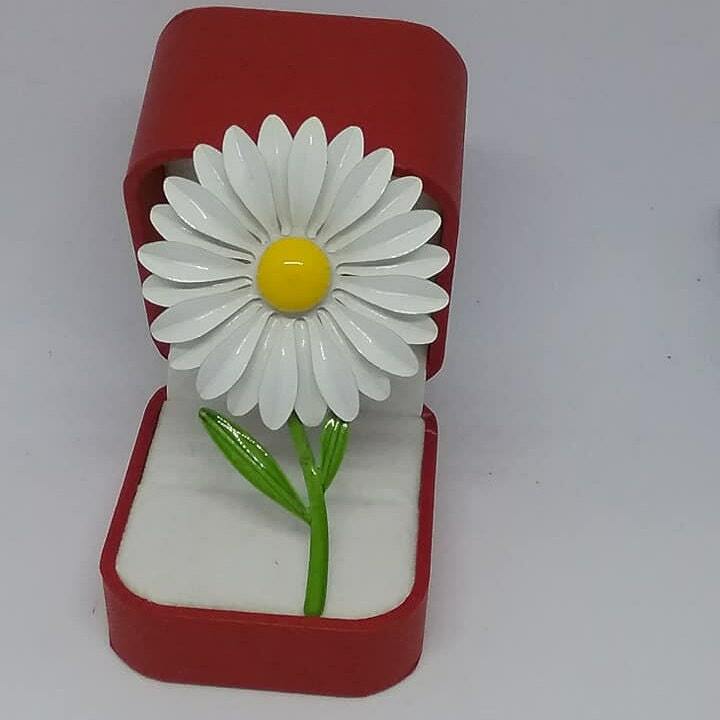 Vintage white enamel daisy with yellow center, and green stem and leaves. 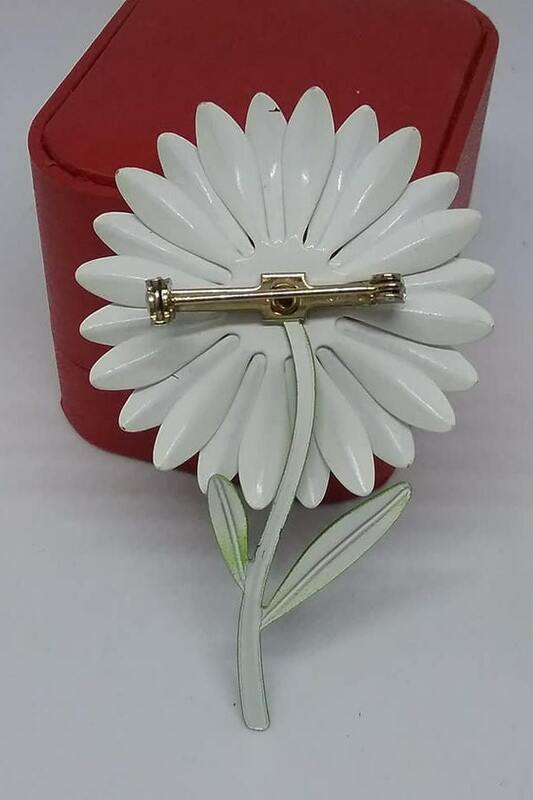 Typical Flower Child retro look. 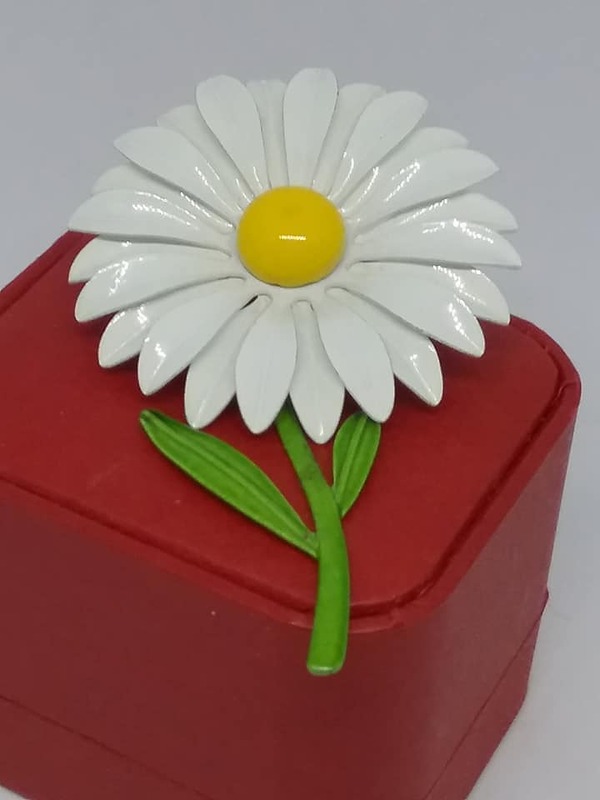 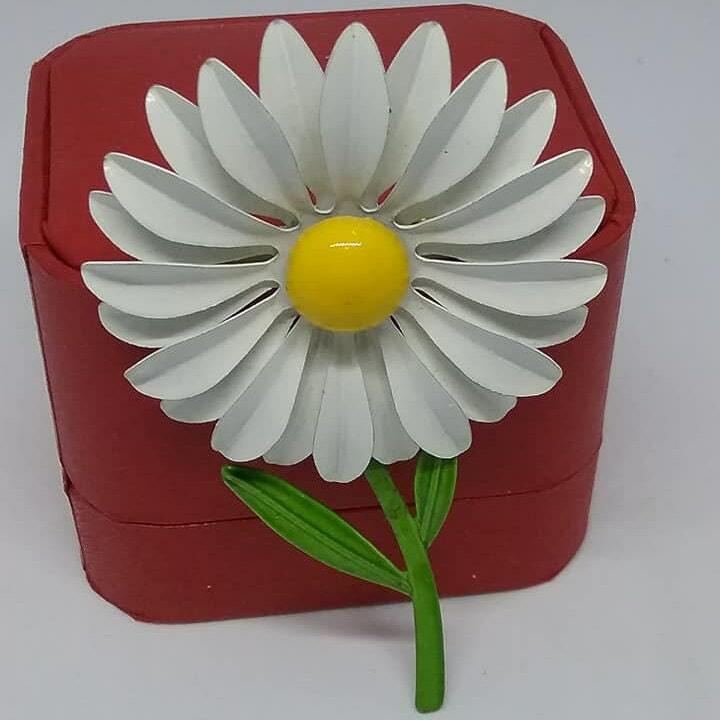 Daisies are symbolic of hardiness and resilience.....this one is in excellent vintage condition.